ST. GEORGE – Next week is National Telecommunications Week, a period set aside to honor dispatchers, the “unsung heroes” of public safety. 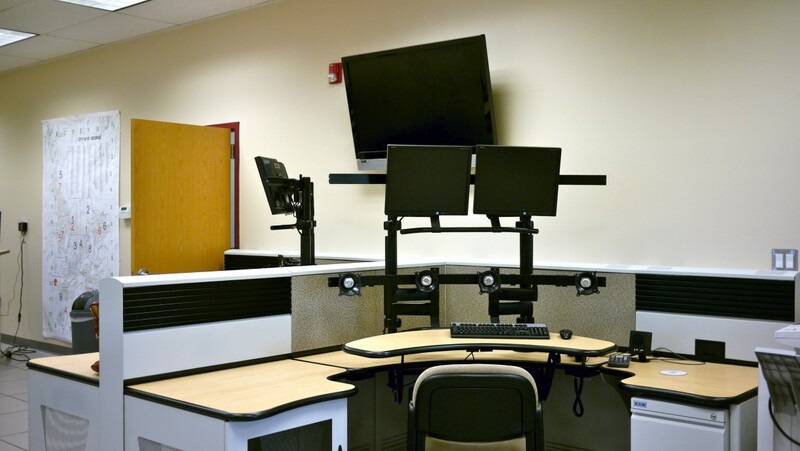 Coinciding with the special week is a public open house at the new Jeffrey M. Dial Communications Training Center on Monday. 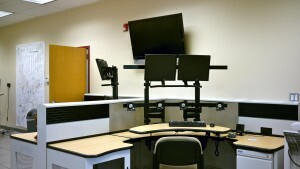 The new communications training center, located in St. George Fire Station 7 just off Dixie Downs Road, at 1912 W 1800 North, is set up to train and familiarize new dispatchers with the system used by the St. George Communications Center, as well as the 800 megahertz radio system the county recent adopted. Originally set up in a storage room at the fire station, trainees would learn the ropes of emergency dispatching with a projector and without computers. That has changed with addition of computerized systems and a full facility dedicated to training. Flowers said the new center will not only serve as a place to train dispatchers, but can also act as a backup communications center for the county if the main facility ever has to be evacuated. The center can also be used to provide additional coordination in times of disaster – not only in Washington County, but also the five-county area (Beaver, Garfield, Iron, Kane and Washington counties). “This was Jeff Dial’s vision,” Flowers said. Lining a hallway in the training center are photos of Dial’s time as the communications manager going back to when the main dispatch center was being built continuing through the years to include events like the 2005 floods and the Warren Jeffs trail. In the world of public safety, the dispatchers who take the calls and relay them to the appropriate agency, be it police officers, firefighters, or ambulance-run EMTs and paramedics – or all the above – tend to go unnoticed by the general public. Flowers said she liked to consider dispatchers the true “first responders” of public safety, because they are the ones who send the police, fire and ambulance to wherever they need to go at any given time. Heather Hallman, the center’s training supervisor, said a dispatcher’s job is stressful. As they only begin the process in public safety, they are rarely able to follow through.“There’s not a lot of closure to the calls,” she said. While there may not seem to be much of a reward for being a dispatcher – little recognition for the job and a high-stress atmosphere – there are the good parts. For her part, Flowers said she finds the reward in knowing the dispatchers were able to help callers in their worst moments and sending them the potentially life-saving aid they need. For dispatcher applicants who are able to pass a series of tests and a rigid background check, they get to engage in six month’s worth of training. During their training, dispatch trainees will also be taken to the main facility where they are able to observe how dispatchers handle incoming calls and multitask between listening to the caller, inputting information, and coordinating that information with emergency responders. There are currently four dispatch trainees using the training center. A new batch of trainees starts on April 29. National Communications Week was set up by President Bill Clinton in 1994 through a presidential proclamation. Usually the first full week of April, this year it is being observed the week of April 14-20. 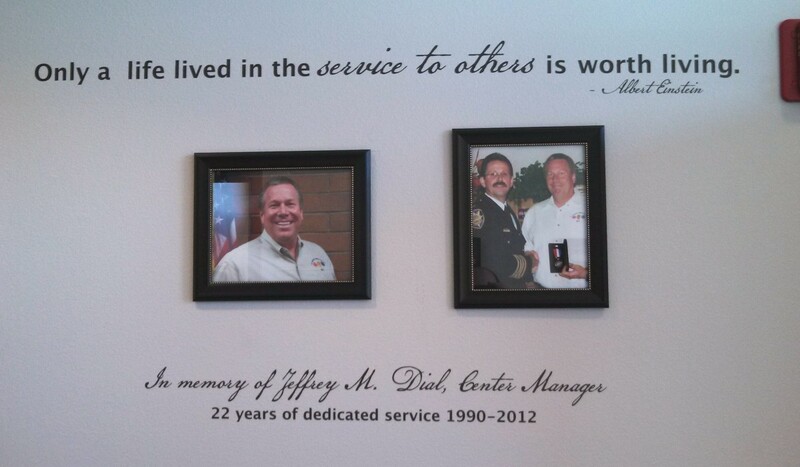 Location: Jeffrey M. Dial Communications Training Center at St. George Fire Station 7, 1912 W. 1800 N., St George. It is a tough job. One that requires a cool head, and a whole lot of common sense, as well as being knowledgeable about the area you serve. Mistakes do happen. They happen to everyone, as we are all human. But there are some jobs, that mistakes can cost someone else their life. This is one of those jobs. I do not believe these folks are given enough credit for what they do. 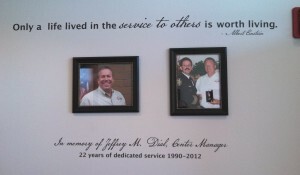 This is s great tribute to Jeff Dial. Those who train there will only begin to understand a small portion of the legacy of a great man. George Washington had to prepare his troops before they crossed the Delaware to attack the Hessian strong hold. This will surely help better prepare the people who will be key in helping keep our community safe and be the ‘first’ first responders.